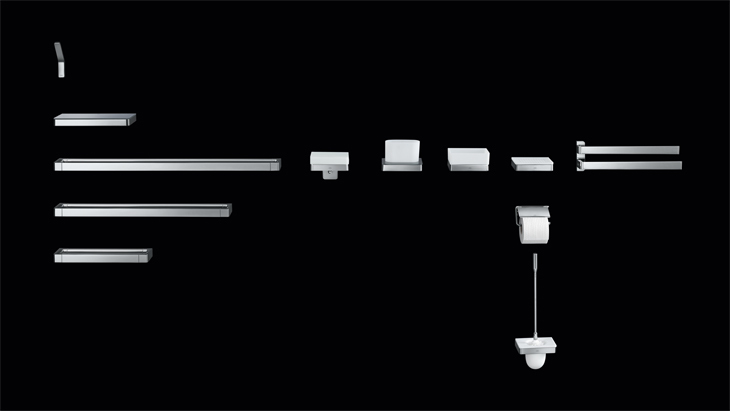 The AXOR Universal accessories are as multifaceted as life itself. 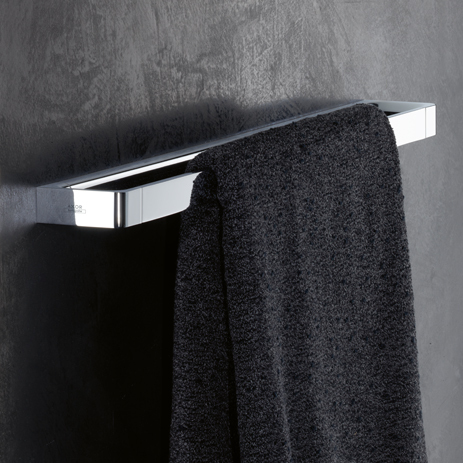 The timeless, elegant accessories fulfil many requirements in terms of comfort – ideal for family, one-person or cross-generation bathrooms. 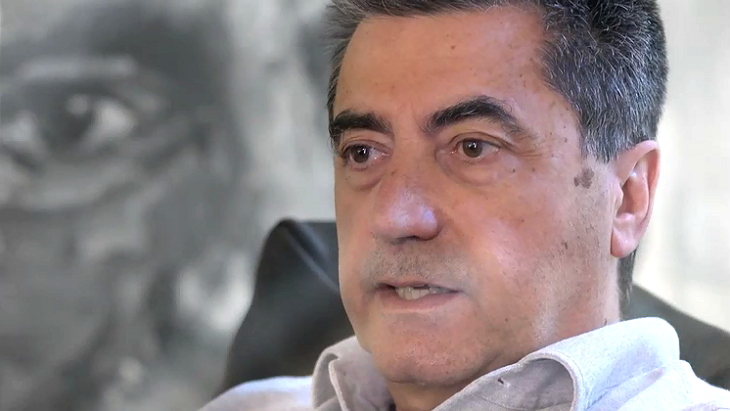 Combine the individual elements to meet your personal requirements and circumstances. 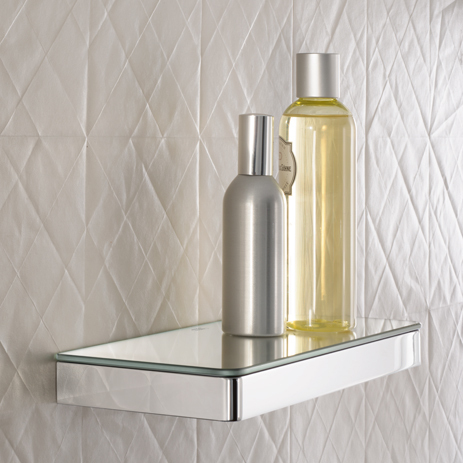 The universal design, with its soft shapes and clean lines, blends seamlessly into a range of different style worlds. Not just in the bathroom either. Shelves, towel racks and a soap dispenser are a welcome sight in kitchens too. 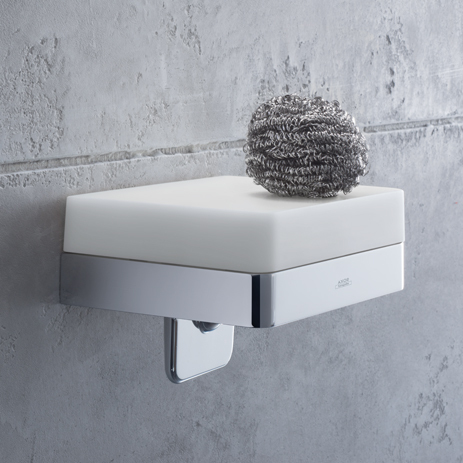 The individual elements in the AXOR Universal accessories are made of high-quality materials: chrome-plated metal, mirror glass or white-coloured glass. These are hygienic, easy to clean and durable. 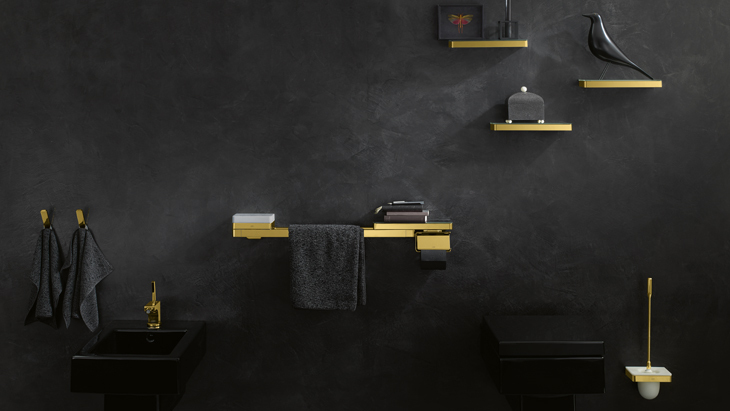 AXOR Universal accessories are also extremely flexible: the products match the various AXOR collections and make life in the bathroom easier and more convenient. Use them as individual solutions or combine them with one another. 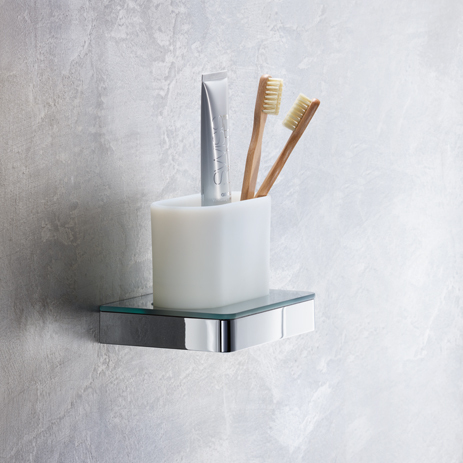 Thus, an element can either be used as a towel rack or, if used as a railing, this can serve as an elegant shelf for other accessories such as a tooth brush tumbler or soap dish: it's entirely up to you! 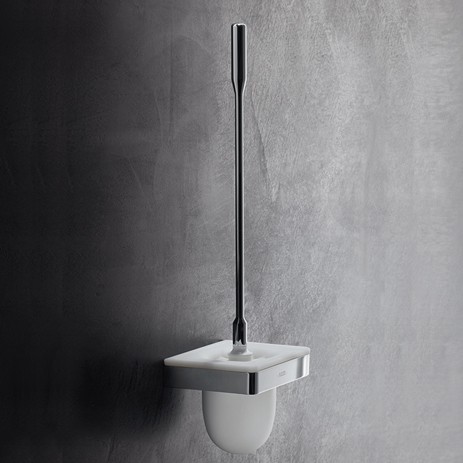 The sophisticated solutions offered by the AXOR Universal accessories offer extra convenience. For example, the dispenser for liquid soap is easy to use with just one hand, and its flat glass lid provides extra shelf space in bathrooms or kitchens. Using the railings as a base for the various elements ensures that these are very close at hand and completely tailored to your requirements: simply combine the accessories that you use most frequently in a way that suits you personally.